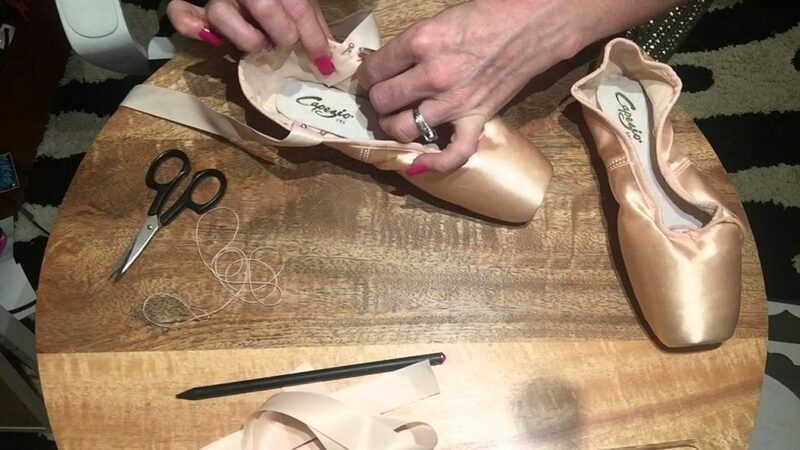 Sewing pointe shoe ribbons is something all dancers should know how to do. From the time you get your first ballet ribbons in fourth grade (Purple Class) this will become a normal part of your dance experience. Below is a video to watch on how to do this. You can also read step-by-step instructions here.